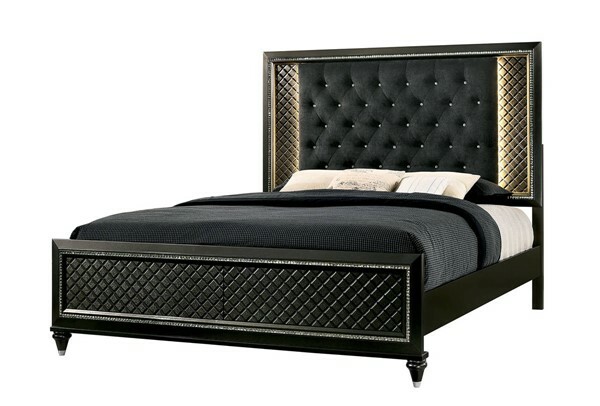 Give your house a high roller suite with this ravishing bed. Every single inch of this ensemble holds something for you to enjoy, all the way down to the silver toe carved bun feet. Pebble boxed paneling canvases the collection's drawer faces and headboard side paneling. This unmistakable paneling is accented by beveled mirror trimming. The play on shape and texture is not lost on the headboard's button tufted fabric mantle, raised just above the pebbling and back lit by LEDs.